Today, the Norwegian government pension fund excluded San Leon Energy Plc from its investment portfolios. "The company is excluded based on an assessment of the risk of particularly serious violations of fundamental ethical norms", reads the statement on Norges Bank's webpage. The Norwegian government pension fund is the biggest in the world. The announced was published with a 14 page Recommendation of Exlusion by the fund's Ethical Council. San Leon Energy is an Irish oil company that operates two licences in occupied Western Sahara. The first licence corresponds to the Tarfaya Onshore block located onshore in the northwestern part of Western Sahara, the second licence relates to the Zag block in the northeastern part of Western Sahara. Both blocks are located partially in Western Sahara, partially in Morocco proper. San Leon holds a majority share of 52.5%, and has partnered with PetroMaroc (22.5%) and ONHYM (25%), in both licences. Find a map of the oil blocks in Western Sahara here. San Leon undertook the first onshore drilling operation in the history of Western Sahara under Moroccan occupation. The drill took place in the larger part of the border-overlapping Tarfaya block, which is located in Western Sahara. In September 2015, the company announced it had hit gas and that it intends to renew its exploration license in order to undertake further seismic surveying on the site. Already in 2002, a UN Legal Opinion concluded that any oil exploration or exploitation in Western Sahara constitutes a violation of international law, unless it is undertaken in accordance with the wishes and the interests of the people of the territory; the Saharawis. 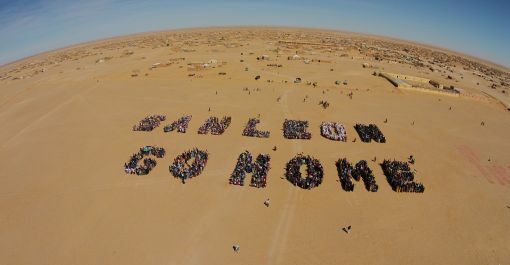 The Saharawis have on multiple occasions expressed their opposition against San Leon's activities on their occupied land. The company ignores their views, and even goes as far as calling the Saharawi people "not representative". 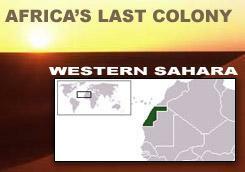 Read more about San Leon's involvement in occupied Western Sahara here.